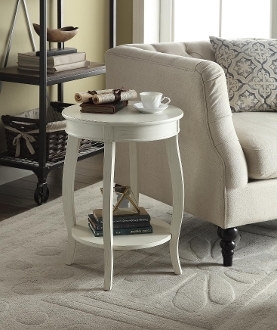 Our Yvonne Round Side Table in Antique White is an elegant table for sitting a lamp or flowers. It has a lower shelf for additional storage. The rounded and tapered legs creates contemporary style that fits many rooms.